The tears fell as I, and my classmates, were hurried out of the National Museum of Korean Contemporary History in Seoul. The museum was closing for the night. Down the escalator, I hid my face with my hands as I wiped the mascara off my cheeks with the tissues several classmates handed to me. We had just toured an exhibit honoring the Jeju 4.3 incident. The title of the exhibit was Jeju 4.3 is Now Our History. 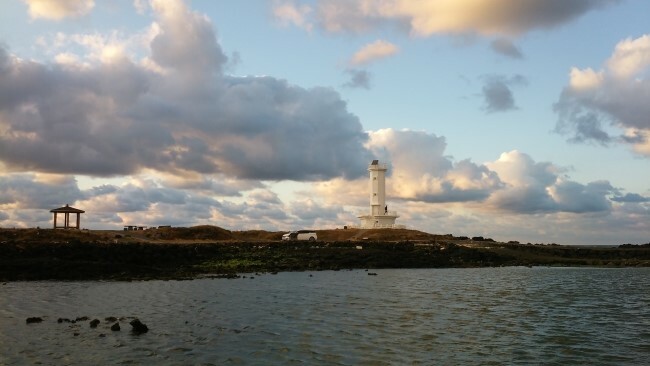 Once, a suppressed part of Korea’s past, the 1948 springtime massacre, on this paradisal island, is now acknowledged as part of Jeju’s tragic history. Years ago, I lived on Jeju Island for about five months as a missionary for The Church of Jesus Christ of Latter-day Saints. I spent that time with other missionaries looking for opportunities to serve people on the island. I quickly fell in love with Jeju, its beauty, its people, and its sunsets. I now consider Jeju my happy place. I have visited the island twice since I was there as a missionary. It has continued to occupy a place of my heart, a happy place. Going into the museum tour, with my deep love for Jeju, I was crushed to learn the sad history of such a beautiful place. In the spring of 1948, the US Military Government in Korea ordered the Korean constabulary to “launch an all-out offensive against armed civilian groups.” These armed civilian groups were small and had just thirty guns. These revolts were disproportionately presented to army officials as “planned communist revolts” before the May 10th elections. The results of the brute force that ensued included, 15,000 to a potential 80,000 Jeju civilian casualties (including women and children), 80,000 refugees displaced on the island (many of which were forced to work in concentration camps), 39,285 homes burned, hundreds of villages lost, and unquantifiable other damage. My tears began while standing at a display in the museum honoring a woman whose jaw was shot off during this massacre. She was a young mother with a husband and child. Both of which were killed as she watched soldiers shoot them in her home. She was also shot. The bullet, missing her vitals, blew off her jaw. This gruesome scene is difficult to imagine. Certainly, unbearably painful and lonely, this woman continued to live on Halla Mountain, out of public sight. When she was discovered as a survivor about forty years later, she was given a sketch book to tell her story. Without the power of speech, this was the first time she could share her story. My heart stinging, the tears began to roll down my cheeks as I contemplated the heartbreak this woman endured, for no fault of her own. She had not participated in any rebellion, not supported any riot. She had been at home, with her family. She dealt with the loss of her family, and bravely continued to live with the physical and emotional pain, alone. I could not, and cannot, comprehend. The image in my head of her on the floor of her home over her husband and child will always haunt me. These thoughts brought to my memory another home, of another brave woman. This home is also on Jeju, also on Halla Mountain. It belongs to a woman I will call Shin Grandma. I met her in Seogwipo as a missionary. At a bus stop, she was struggling to hold a bag of fruit, with one of her weak arms in a cast. She is one of the frailest humans I have ever met. My missionary friend offered to help her carry her bags home and Shin Grandma accepted. It was the beginning of a beautiful experience. My friend and I lived in Jeju City, but a few times a week, we would take the bus over the mountain and get off at a rural bus stop in the middle of tangerine orchards. We always knocked lightly on the metal sliding door of Shin Grandma’s humble home. If we knocked any harder, we were worried the structure might fall over. She would invite us in and ask us to rub her aching back and sing to her a few hymns she remembered. We did dishes, washed fruit, and hung laundry. There was one time when we arrived to find her sink was flooding her home. Many hours later, with some help from other missionaries, we got the sink to behave itself. She called us her angels. The reason the tears would not stop as we left the museum, was Shin Grandma, a true angel. She was certainly around for the spring of 1948. I could not stop thinking about her and what she must have endured. My heart stings when I think of why she was living alone, in a slanting shell of a home, on Halla Mountain. The sad history of Jeju cannot be changed. However, as South Korea continues to work toward healing, Jeju has been named “An Island of World Peace”. I pray for those involved in this tragedy and humbly offer my tears to those who suffered innocently. With each healing sunset, Jeju remains my happy place and I, along with South Korea, will always remember those, now angels, affected by April 3, 1948.